The weather is still pretty poor but at least we have now had around 36 hours with no rain. I had to go into town yesterday, here is a montage of some pictures. Still not very warm, only 17ºC as I write. Almost forgot this! School holidays coming to an end, this picture was taken on Wednesday 6th September in the afternoon, air temperature around 31ºC. 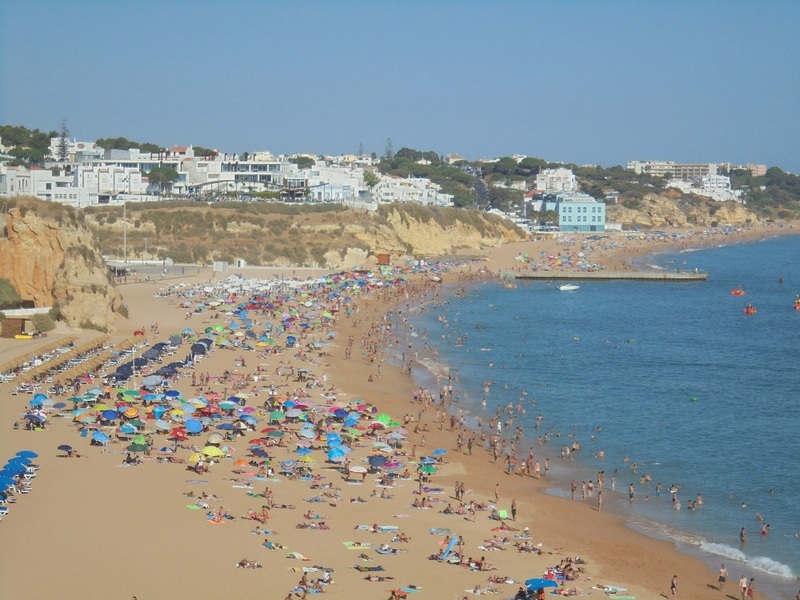 Albufeira hot and busy, no fires here! Many days now of temperatures between 32ºC and 35ºC, beaches and towns are very busy. Here’s a picture taken a few days ago by a friend of Galé beach, about 5km west of Albufeira. Luckily we have been spared the brushfires and more serious that have badly affected parts of the centre and north of Portugal. There were two small fires a few days ago a about 6 miles west of here, near Armção de Pêra, the smoke from which drifted over our way for a few hours. Fingers are still crossed. All the grass and small shrubs are brown, trees are still green. Portugal has an excellent website, updated in real time, showing the status of the fires. It’s only in Portguese but is very easy to understand. Click on a fire and a box will open up telling you how many firefighters are involved, how many appliances, how many aircraft and for the very biggest fires (shown as red flames) the scope of the fire and the location of the command centre and who’s in charge. For some reason unknown I am currently unable to edit the ‘status’ item at the top of the page. Suffice it to say that the weekend has been very hot at 32C / 90F and the beach very busy, as the picture below shows. A few more later when I have been through them.now if you click the item below the main picture. 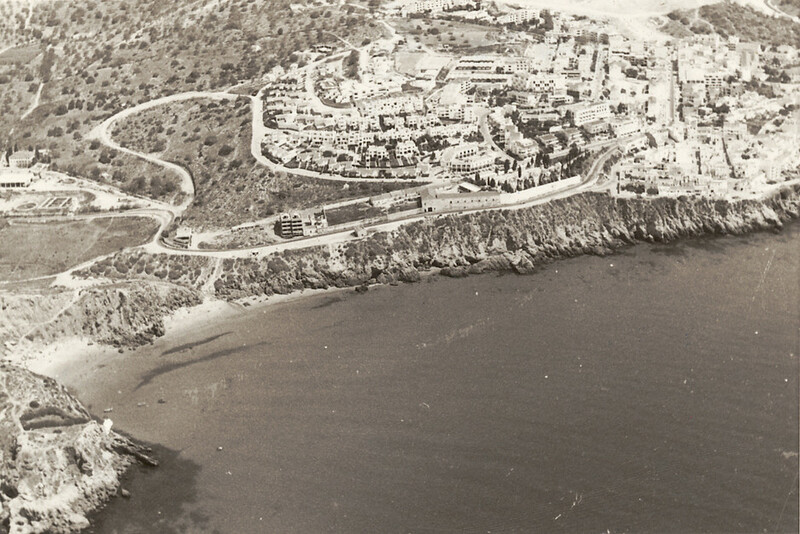 Found this picture of the western end of Albufeira taken I know not when.